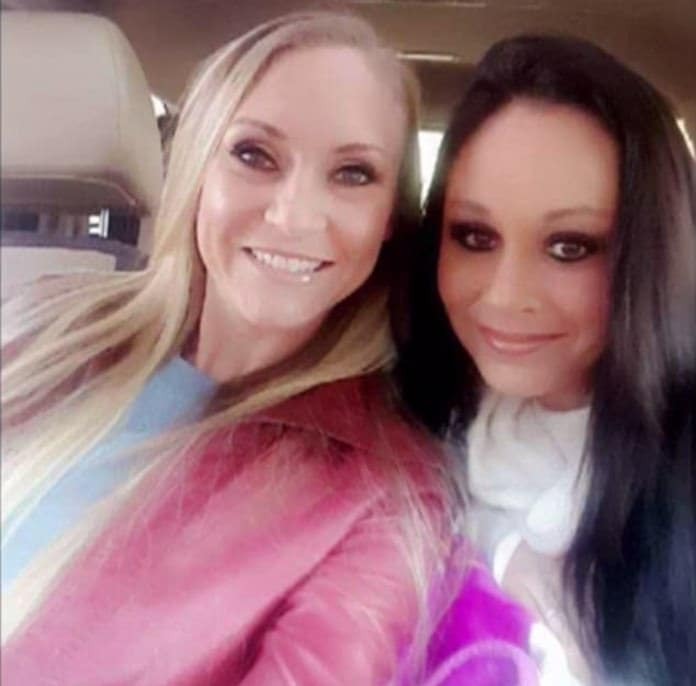 Pictured, Stuttgart, Arkansas burger joint worker Leslie Underwood and fellow waitress, Mandy Vanhouten (right). Image via social media. 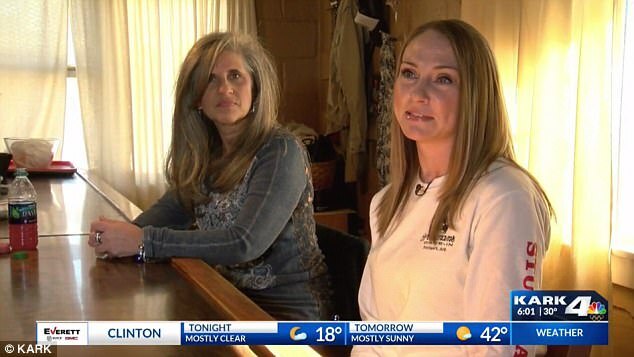 Mandy Vanhouten a former waitresses at Sportsman Drive-In in Stuttgart is sued by her co worker for ‘stealing’ $300K winning lotto ticket. Does she have a case? 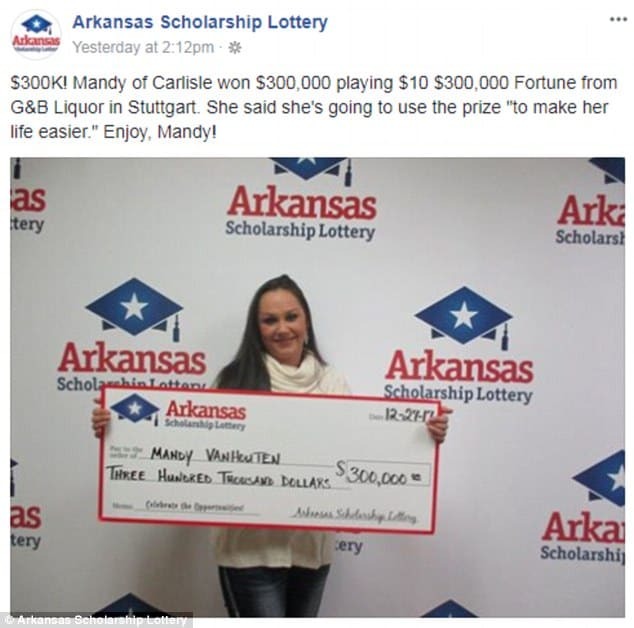 Leslie Underwood a Stuttgart, Arkansas burger joint worker has filed suit against co worker Mandy Vanhouten accusing the former waitress of stealing her share of a $300K Arkansas lottery winning ticket. 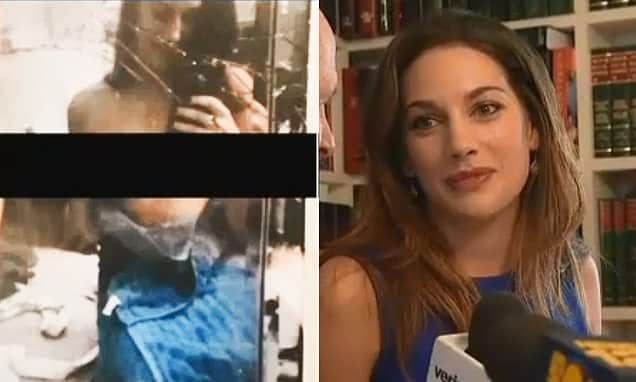 The suit alleges that the women’s boss, Steven Luckadoo, gave them several scratch-off tickets with the understanding the two would split any winnings. But Underwood said Vanhouten cashed in the winning ticket and never returned to work, the Arkansas Democrat-Gazette reported. The lawsuit alleges that both women scratched off the tickets on Dec. 22, and found one was worth $300,000. Yet instead of splitting the big win, the lawsuit says Vanhouten took the ticket home that weekend and cashed it in on Dec. 27 without telling Underwood. Vanhouten has ‘skipped town’ and hasn’t been back to work since, according to the lawsuit. Pictured, Mandy Vanhouten claiming ‘her’ winning lotto ticket. 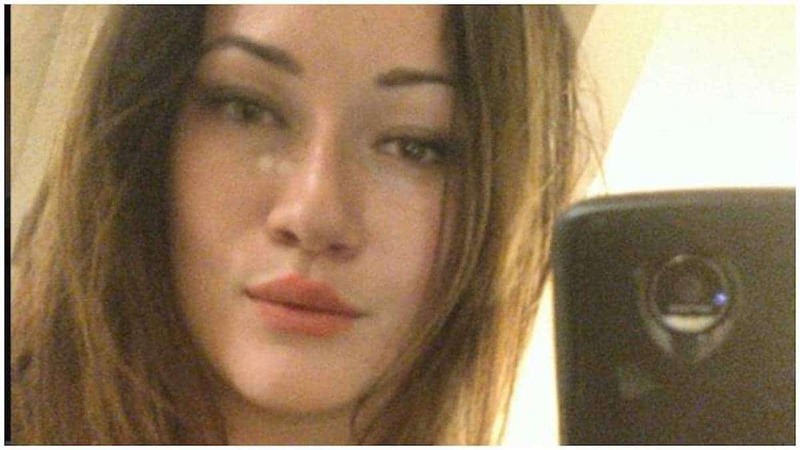 Mandy Vanhouten: ‘I’m going to use the winning lottery ticket to make my life easier’. It wasn’t clear whether Lottery officials could show that the winning ticket was in fact purchased by Vanhouten at the alleged liquor store. Now Underwood is suing, asking for a judge to freeze the money earned from the lottery prize until ownership of the winnings can be established. 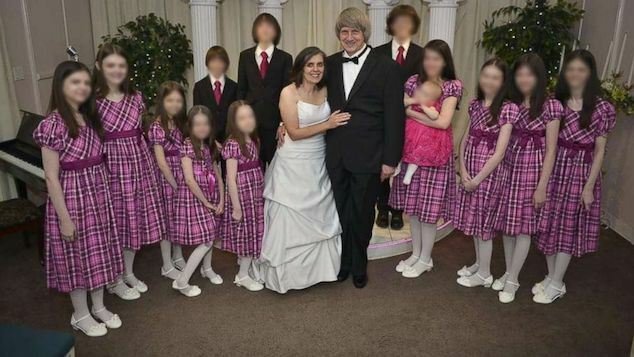 Since then, Vanhouten has gone missing — she hasn’t answered phone calls or her door at home, Inside Edition reported, and even family members aren’t sure where she is. A listed phone number for Vanhouten could not be found. Pictured, Leslie Underwood Stuttgart burger joint waitress (far right). But only Mandy Vanhouten’s signature appeared on the winning ticket. The lawsuit asks Pulaski County Circuit Judge Chip Welch to put half the prize into a court-supervised bank account until he has decided whether Underwood is entitled to the share. Underwood also said she’s entitled to a temporary restraining order to prevent Vanhouten from spending any of the money. 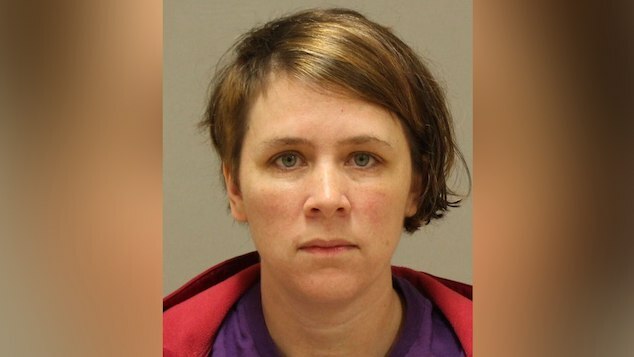 If she spends the money before Welch decides Underwood is entitled to half, then it’s not likely Vanhouten would be able to repay her, the lawsuit said. 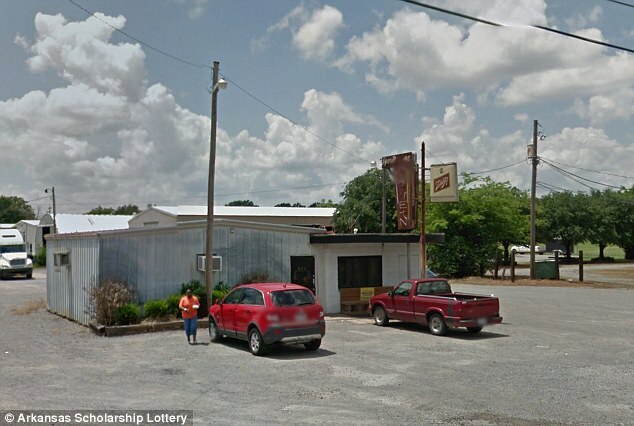 Scott Hardin, a spokesman for the Lottery, told ArkansasMatter that Vanhouten is considered the rightful owner of the ticket because she is the one who showed up to redeem it and Underwood’s signature was not on the scratch-off. But many people on the Lottery’s Facebook post celebrating Vanhouten’s win didn’t seem too happy for her. While others are waiting to hear both sides of the story.